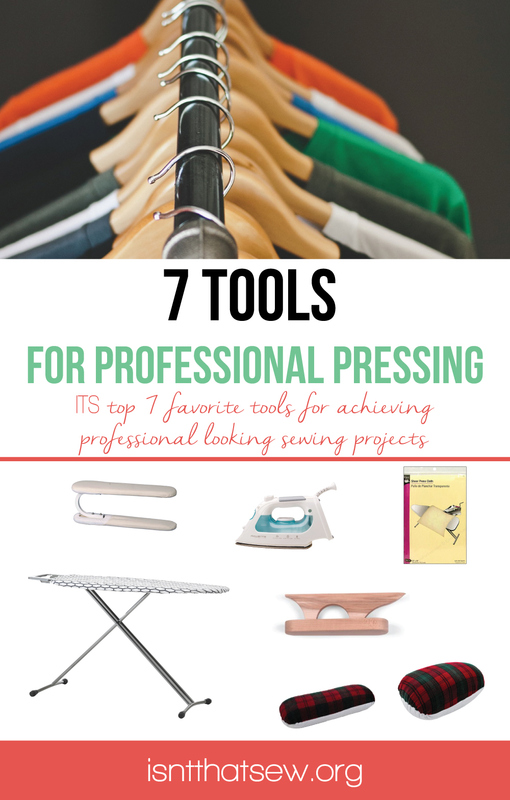 A quick look at the 7 most important tools for achieve professional pressing. If your goal is to make professional looking, handmade garments, then pressing is crucial to your success. Sometimes, it is easy to skip over these simple steps, but…more often than not they will make or break your sewing project! Using the proper tools and techniques will make all the difference when your trying to produce that professional look! 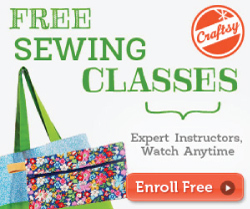 Knowing how and when to use the correct tools will improve the overall look of your sewing projects! Okay, okay. I know this is pretty much common sense…and that is why I opened with the most obvious tool! An ironing board is a sturdy surface with a narrow end and adjustable height. 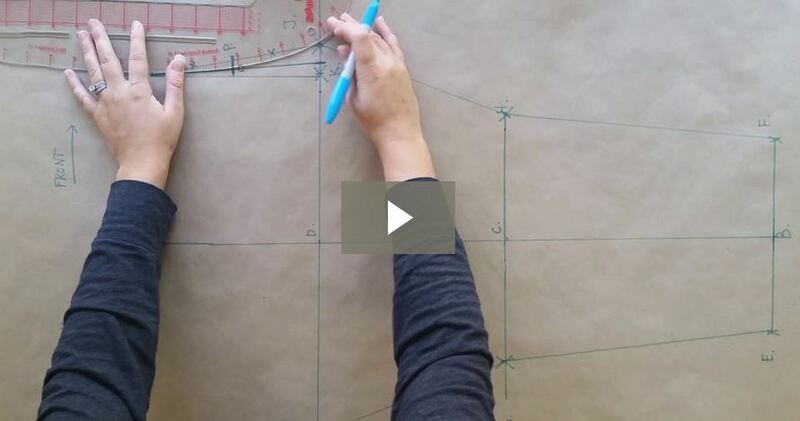 You need a sturdy surface to press your sewing projects. While it doesn’t have to be a traditional ironing board, you’ll need to make sure the surface is heat resistant. 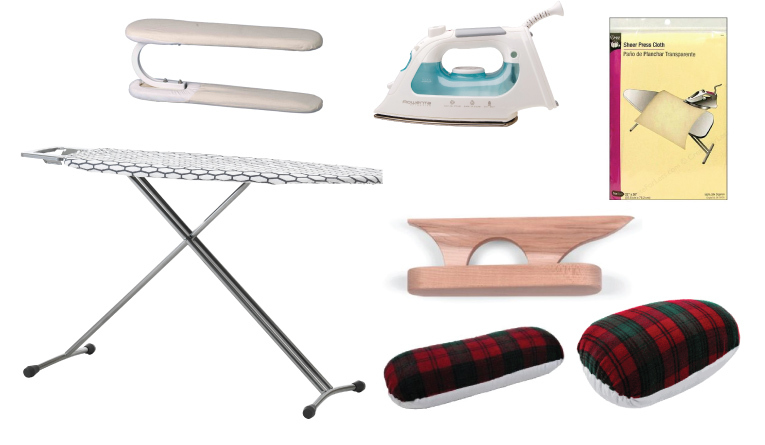 If you don’t have an ironing board, you can always purchase and ironing mat. They are a little less expensive and super versatile. A steam iron combines both a dry iron with a steam iron, and they are awesome! My favorite brand for home sewing is Rowenta. A steam iron has a range of temperature controls and steam settings. It’s important to make sure that you are using the correct temperature and amount of steam for your fabric choice. If you neglect doing your research or following your pattern instructions, you run the risk of ruining your project! You can not only melt some synthetic fabrics, but, you can also create undesirable effects. For example; some fabrics will become shiny or you might make your impressions on the right side of your garment and see the seam allowance or darts showing through. YIKES! A clapper is a smooth, usually wooden block that is used for a couple of things. Traditionally, the clapper or pounding block is used to create a strong crease in trousers, collars, hems, pleats, or facings. But, a clapper can also be used on lofty or bulky fabrics to flatten the seams or on fabrics that cannot accept a lot of heat. For example, fleece. It is both bulky and it can melt. In this instance, you would hover over the fabric, apply light steam, and then apply firm pressure with the wooden block. A point presser, sometimes called a tailor’s board, is a strange looking wooden tool that tapers to a point. It almost looks like an anvil. It is most often used to press difficult to reach areas, like collars, lapels, or other types of points and corners. More often than not, a point presser and a clapper are combined into one. But, it can get a bit bulky and awkward to use, so I prefer to have both a clapper and a point presser. But, that is definitely only a preference! A seam roll is a long, cylindrical tube that is firmly padded and covered with wool on one side and a heavy cotton on the other. It is used to press open seams. The cotton side is used to press the majority of fabrics, while the wool side is used for woolens. It may seem silly to use this tool that looks like a summer sausage, but…it really has a useful purpose! When you press your seams on the seam roll, you will not make an impression of the raw seam edge on the right side. A tailor’s ham is similar in function and look to a seam roll, however, it is more of an oval shape and literally looks like a ham. It has the same firm padding and covering as the seam roll. The ham is used for flatter curves, like hip curves, princess seams, or sleeve caps. 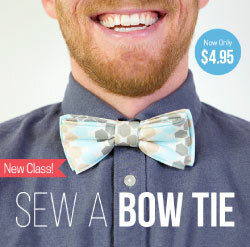 It also helps to shape and contour your curved seams, darts, collars, lapels, and sleeve caps. In fact, you can even mold your pieces to shape with this guy! A sleeve board is a small, padded ironing board that has a little different end shape than a full size board. It sits on top of a full size ironing board, or a table and is used to press sleeves, bags, or other narrow tube like shapes. A pressing cloth is an open weave piece of cotton or muslin that is placed between the fabric and the iron. It helps to protect the right side of the garment from shine. 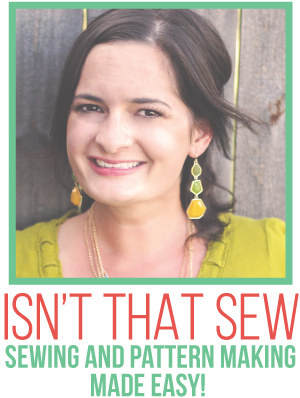 Having the correct tools may not be the most important thing in achieve success in sewing. But, having the knowledge of what the tools are and how to use them will help to improve your instinct. You may not need all of the tools to sew professional looking pieces, but…it’s important to know what they are and know their function. Then you’ll know how to improvise!